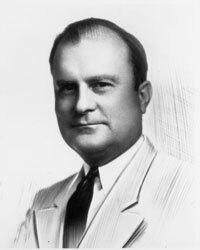 Pulliam was the first alumnus of the University to be elected as its president. Armed with a bachelor’s from Southern and a master’s from the University of Illinois, he first became superintendent of Harrisburg (Ill.) schools before being chosen to lead his alma mater in 1935. He set to work democratizing administrative policy, giving greater say to an advisory council, faculty and students. A faculty senate and a council of elected students thrived under his leadership. Students' achievements along with their welfare and aid received greater attention. Southern evolved from high-ranking teachers college to a university during his tenure. Eventually, overwork and lingering World War I injuries forced Pulliam to run the University from his bed, which he did for months before he died on March 27, 1944.